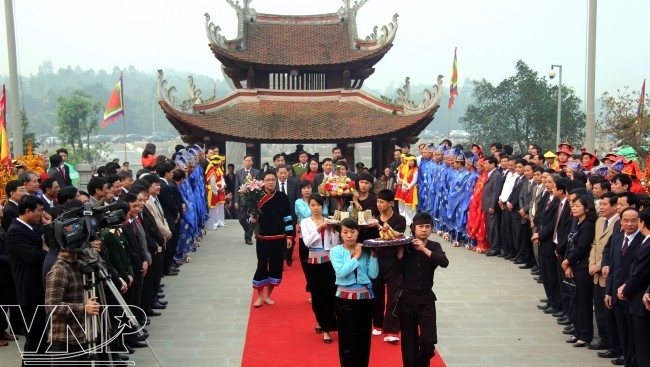 Many researchers say that there are very few countries in the world that have a worshipping ceremony for their ancestors like Vietnam. 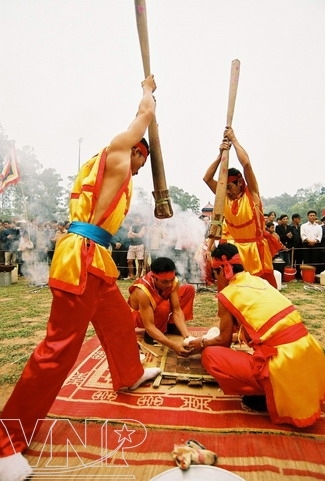 The custom of worshipping the Hung Kings has existed for thousands of years and has spread widely. It deserves to become a heritage of mankind. Historical books and legend have it that about 2000 BC, Lac Long Quan, a dragon, and his fairy wife, Au Co gave birth to 100 children, 50 of them followed their father to the sea and 50 followed their mother to the mountains. The eldest son, who went with his mother, stayed in Phong Chau (now Phu Tho Province) and founded the country of Van Lang. He took the title of Hung Vuong (Hung King). From then on, all succeeding kings also took this title. 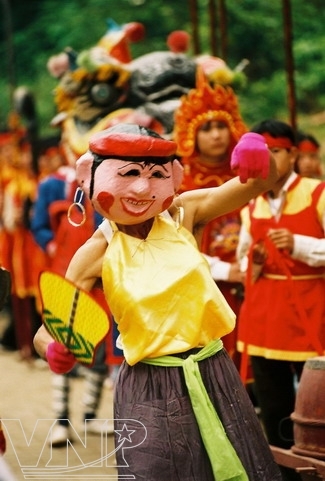 The story of the “Dragon-Fairy” race and the history of the beginning of the Vietnamese people and the nation were formed. abroad came to the Hung Kings’ Temple in Phu Tho Province to attend the Hung Kings’ Death Anniversary. 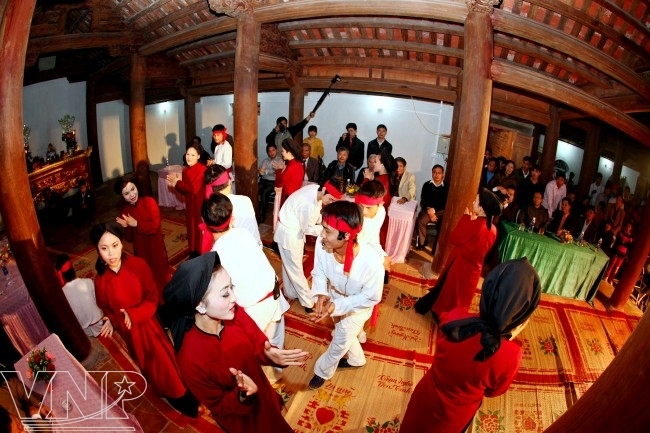 This year’s festival attracted about six million visitors both from home and abroad. The story about the Hung Kings who are the ancestors of the Vietnamese people has existed for thousands of years. 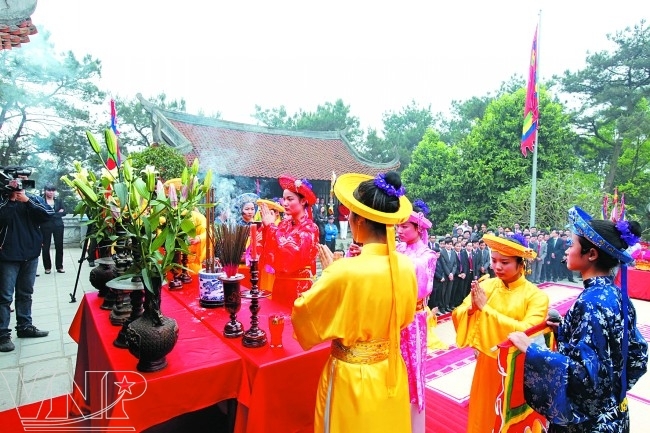 The image of the Hung Kings and Van Lang State has become a firm spiritual pedestal for the Vietnamese people during the process of national construction and defence. 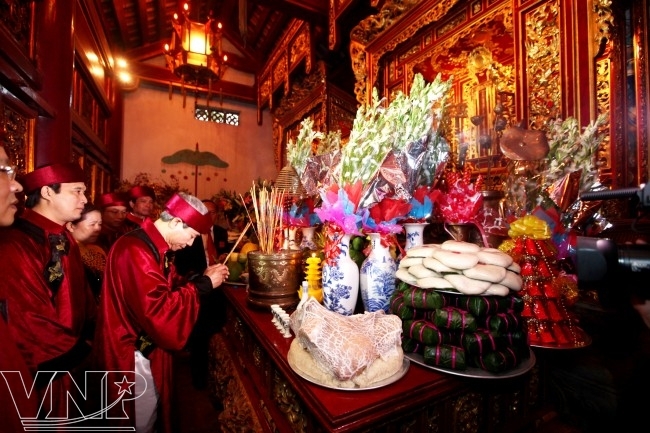 Originating from the custom of worshipping the ancestors and the tradition of “while drinking water, remember its source”, every year, a ceremony of the Hung Kings’ death anniversary is held at the Hung Kings’ Temple in Phu Tho on March 10 of the lunar calendar to commemorate their legend . According to researchers, the custom of worshipping the Hung Kings became popular in the 15th century. In 1470, King Le Thanh Tong ordered the establishment of a genealogy map of King Hung and elevated him to the status of “thousands-of-years holy king of Vietnam”. By doing so, he was credited with making official the role of King Hung as “the nation’s ancestor”. 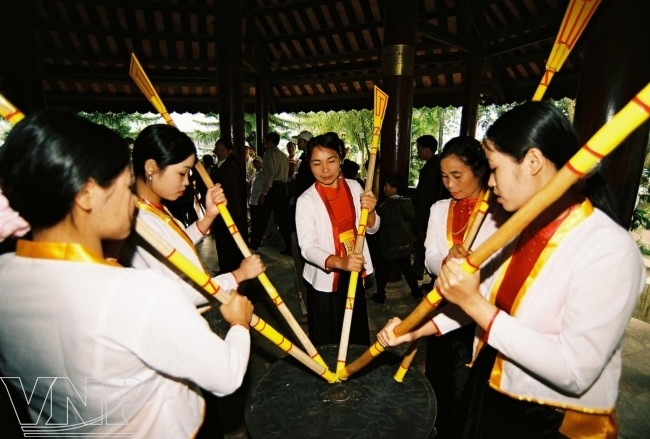 During the Nguyen Dynasty (the 19th century), the court issued a rule to organize the worshipping ceremony on March 10 of the lunar calendar and ordered the Nguyen kings to send three pecks of fragrant sticky grain rice (about 18kg) to make sticky rice as an offering in the ceremony. A procession of offerings to the Hung Kings. A process of imperial equipage on the Hung Kings’ Death Anniversary. 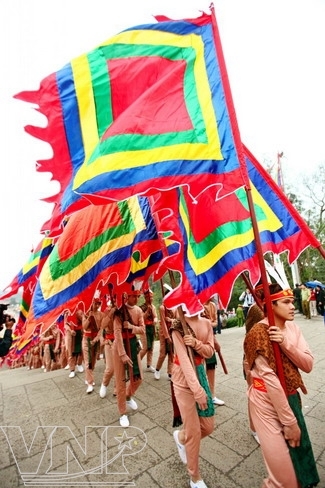 Five-coloured flags flutter in the wind on the Hung Kings’ Death Anniversary. Now, at the relic site of the Hung Kings’ Temple in Phu Tho, there are still many ancient relics dating from the third century BC and earlier which show the worshipping ceremony for the Hung Kings. These include the Thuong (Upper) Temple, Trung (Middle) Temple, Gieng Temple and the Hung King’s Tomb. All of these relics serve as proof of the worshipping custom. The practice of worshipping the Hung Kings has developed from a village to encompass the whole country. 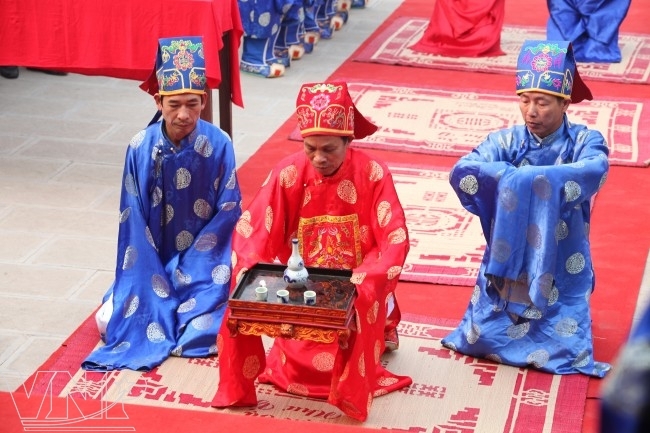 To show respect to the Hung Kings, the State and community have established specific rites in accordance with the traditional cultural identities and there are regulations for these activities. Very long ago, people around Lam Thao area (Phu Tho Province) honoured King Hung as the village’s tutelary god. 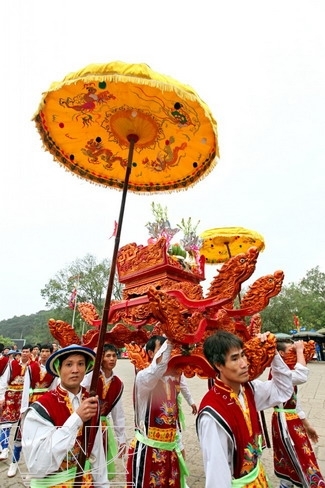 Annually, they organized a palanquin procession from his temple on Nghia Linh Mountain to the village during Tet (New Year Festival). 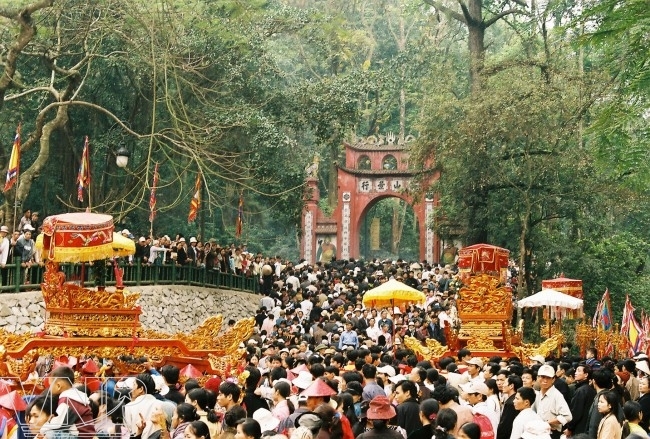 At the approach of March 10 of the lunar calendar, many people from other areas in Phu Tho Province, such as Hung Lo, Chu Hoa, Tien Kien and Hy Cuong Communes held the palanquin processions to the Hung Kings’ Temple to attend the ancestors’ death anniversary and present offerings to worship the Hung Kings. 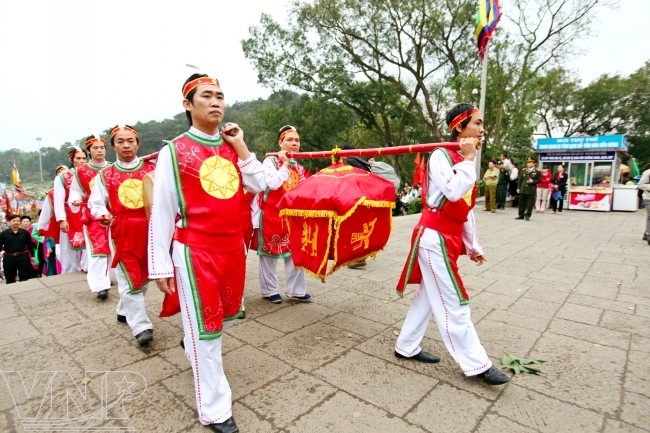 As a custom of the past, the beautiful palanquin that won the prize would have the honour to carry the offerings which consisted of Banh Chung (square sticky rice cakes) and Banh Giay (round sticky rice cakes) to Nghia Linh Mountain for the worshipping ceremony held on the morning of March 10. The palanquins which won lower prizes were brought around for people to contemplate and created a sacred atmosphere for the festival. Besides worshipping the Hung Kings, people also worshipped the paladins, military chiefs, the kings’ wives and children. These rites remain relatively intact. Kings' Temple Historical Relic Complex. Offering incenses to Lac Long Quan, the nation’s legendary father. 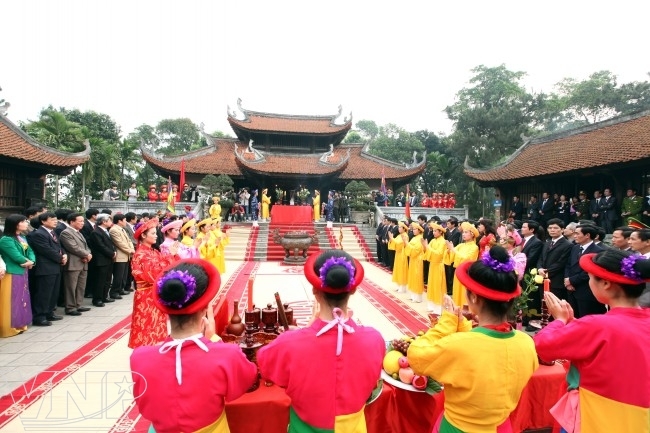 The offering wine cremony at the death anniversary of Lac Long Quan. A ritual on the death anniversary of Au Co, the nation legendry mother. 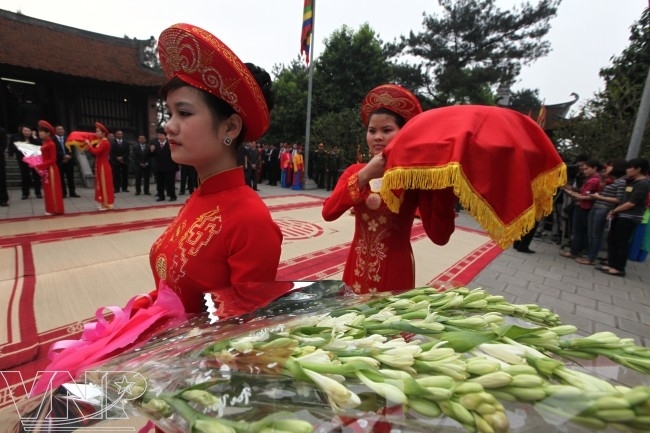 The incense offering ceremony at the death anniversary of Au Co.
Offering flowers at the death anniversary of Au Co.
Associated with the custom of worshipping the Hung Kings, Phu Tho residents still retain a huge treasure of cultural heritage, such as legends, customs, rituals, festivals, cuisine and folk games. 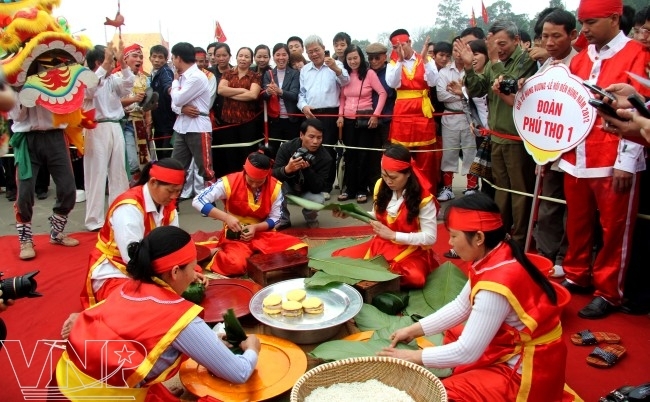 Some of these are Xoan Singing which has been recognized by UNESO as Intangible Cultural Heritage of Humanity that needs to be urgently protected, Tro Tram Festival in Tu Xa Commune and the contests of making Banh Chung and Banh Giay in Kim Duc Commune. Today, the Hung Kings’ death anniversary and the Hung Kings’ Temple Festival is held very year on March 10 of the lunar calendar, attracting millions of domestic and foreign pilgrims. 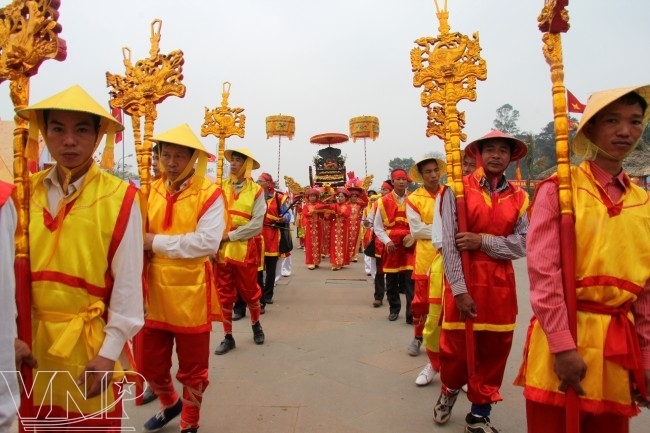 On this occasion, in most provinces across the country and even in other countries, the Vietnamese people, regardless of race and religion, respectfully organize the Hung Kings’ death anniversary, depending on their abilities. According to the statistics of the Ministry of Culture, Sports and Tourism, in addition to the Hung Kings’ Temple in Phu Tho Province, there are 1,417 temples dedicated to the Hung Kings and other celebrities relating to the Hung King era. There are 326 temples in Phu Tho Province, 425 temples in Hanoi, 168 temples in Bac Ninh, 62 temples in Vinh Phuc and 14 temples in Ho Chi Minh City. To meet the people’s aspirations, the State has issued important decisions to preserve and enhance the identities as well as the importance of the Hung Kings’ death anniversary. The anniversary has become one of five major national holidays. The project of organizing the event at State level has been approved. The workers have a holiday with full pay on March 10 of the lunar calendar. The State also provides a huge budget for this important event. Thus, every year, the Hung King’s death anniversary is solemnly and respectfully organized with all national rites. necessary offering to the Hung Kings. Beating bronze drums at the festival. attached to the custom of worshiping the Hung Kings of the Vietnamese people. The competition on making Banh Giay (round sticky rice cake), a necessary offering on the Hung Kings' Death Anniversary. Disguised as legendary characters to attend the festival. 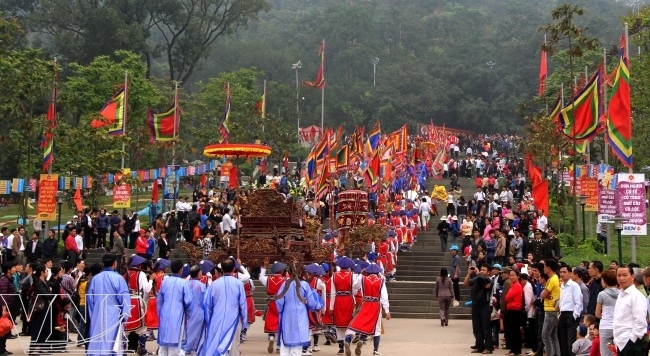 The Hung Kings’ death anniversary and Hung Kings’ Temple Festival 2012 held in Phu Tho Province attracted over six million people, an increase of nearly one million people compared to last year. It shows that this custom is strong and has spread wide in the community of the Vietnamese people both at home and abroad. On this occasion, a delegation representing Vietnamese expatriates living in 22 countries and territories around the world returned home to attend the ceremony. 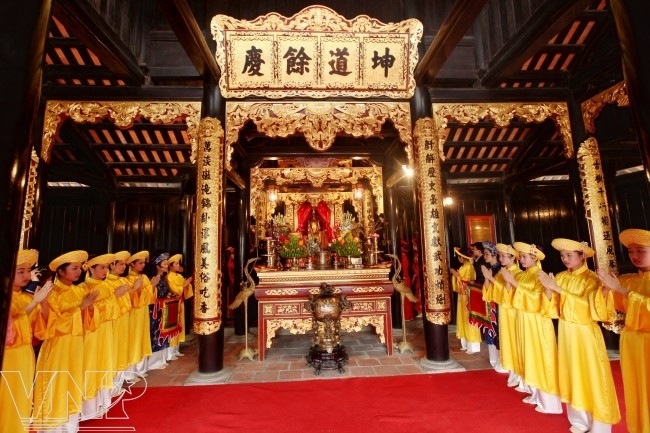 The outstanding value of worshipping the Hung Kings, and the Hung Kings’ death anniversary lies in the fact that this custom has been preserved from generation to generation. It has attracted the voluntary participation of a majority of the community. These are the criteria in accordance with UNESCO’s requirements, especially during the current integration era. That is the reason why a dossier of the custom of worshipping the Hung Kings has been compiled to submit to UNESCO for its recognition of the practice as an Intangible Cultural Heritage of Humanity. Talking about this custom, the late Professor Tran Quoc Vuong, a leading historian of Vietnam once said: “The Hung Kings’ Temple is a temple dedicated to the ancestors. They are not the ancestors of a family, a clan, a village or even a region, but the ancestors of the whole country. Hopefully, the Vietnamese custom of worshipping the Hung Kings will soon be recognized and honoured by UNESCO, thus adding another precious heritage to the cultural treasures of humanity.